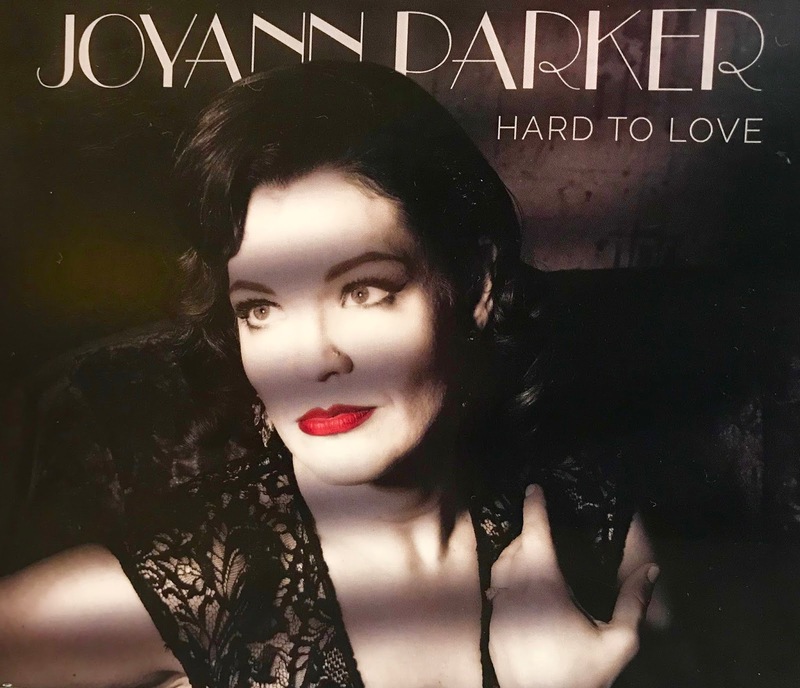 CD Review: Joyann Parker, "Hard To Love"
It's been a while since I reviewed a new Blues CD because I had not hear anything exceptional. My wait ended when I listened to Joyann Parker's "Hard To Love". Classically trained pianist, Joyann Parker has been singing and writing music for several years, but surprisingly she is relatively new to the Blues. About 4 years ago, Joyann discovered the Blues. "It just clicked" she said, "This is what I am supposed to do." For Joyann the door to Blues and Soul music opened almost accidentally. After singing Aretha Franklin's soul classic, "Chain of Fools," at a contest, Parker received an invitation to join a Blues band. The following year, the band "Joyann Parker & Sweet Tea" won the Minnesota Blues Society's band competition and in 2015 went to Memphis to represent the Blues Society and compete in the International Blues Challenge. According to Joyann, "After I went to the Stax Museum in Memphis, it was like somebody lit a fire under me. I thought, I love this music. I want to write it so I went home and wrote the songs." Joyann has a strong, beautiful and sensual voice with amazing range that fits the Blues perfectly. Her songs are wonderful, fresh and all tell believable stories about love and life. 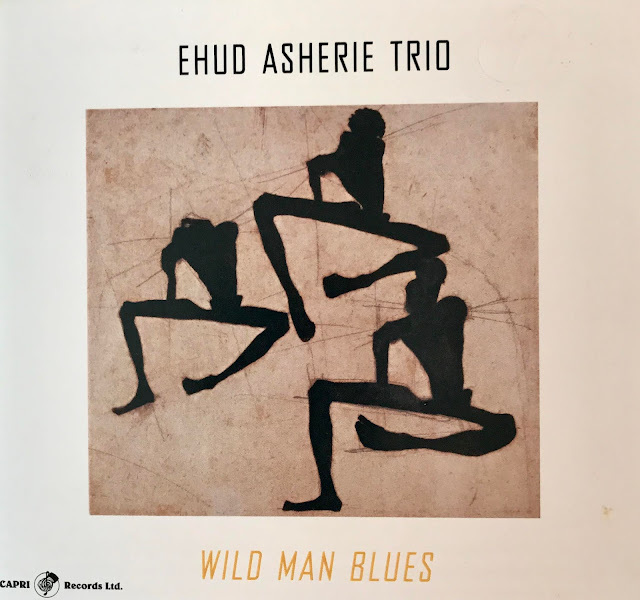 They are several levels above most new Blues songs you might hear today and they tell stories that hit home with her audiences. She mentions something very interesting about the Blues. "I have been performing for some younger crowds and they say "I don't like the Blues". But after I perform one of my songs, they often say "I love that song". I tell them "That's the Blues", I have had the same experience going to a Blues concert with someone who tells me they don't really care for the Blues. They usually leave the concert in love with the Blues. Blues Singer/composer/Pianist Joyann Parker also co-produced this CD with the talented Guitar player Mark Lamoine who also contributed back-up Vocals. Simply put "Hard to Love" is a classic Blues CD spotlighting a soon to be classic Blues Vocalist! Gunhild Carling-Horns on "Who What When Where Why"
6. "Who What When Where Why"
10. Take Your Heart and Run"
12. "What Happened to Me"
I have attached a "YouTube" of Joyann Parker singing her original composition "Memphis" from her new CD, "Hard To Love". 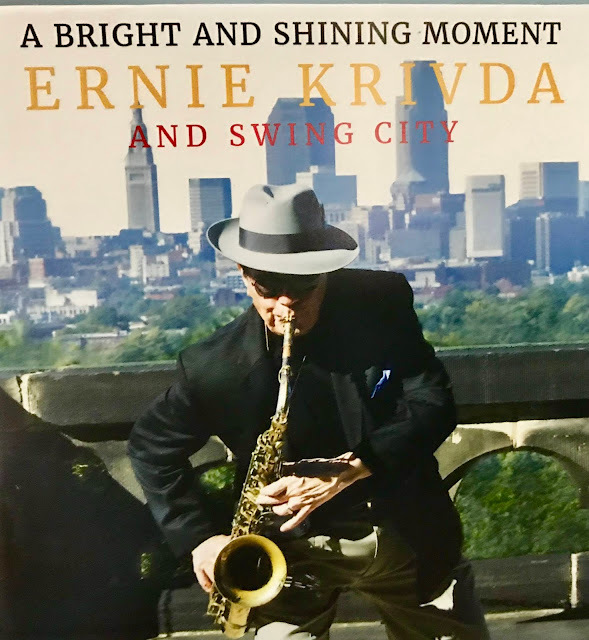 CD Review: The Ernie Krivda Swing City Septet, "A Bright and Shining Moment"
Cleveland may be famous for the "Rock and Roll Hall of Fame" but it's also famous as the home of the great Tenor Sax player Ernie Krivda. Cleveland's beloved Tenor Sax Player, Ernie Krivda has produced a new Swing CD with his Septet titled, "A Bright and Shining Moment". This album is loaded with 11 great Jazz gems and 7 original compositions by Krivda. According to Krivda, "The Septet's mission was to reflect a broad swath of Jazz styles, touching on milestone eras of the music". Swing City's reason for being was to produce driving, lusty and accessible Jazz and they have clearly accomplished their goal! The Album contains many Jazz gems from the past including Ellington's "Caravan" and "The Mooche". There are two Gershwin tunes, "Summer Time" and "The Man I Love" and 4 songs from Carmichael, "Two Sleepy People", "The Nearness of You", "Little Old Lady" and "In the Cool Cool Cool Of the Evening". In 2009, Ernie Krivda was the recipient of the Cleveland Arts Prize for lifetime achievement in music. Saxophone Bandleader, Educator, Producer. Arranger and Composer Ernie Krivda has been a driving force in Jazz music since the 1960's. He has performed with many Jazz giants including Ella Fitzgerald, Buddy DeFranco, and David Sanborn. This is a great CD in the traditional Jazz school of music and will be enjoyed by Jazz lovers of all ages! 5. "A Bright and Shining Moment"
6. "The Man I Love"
7. "In The Cool Cool Cool of the Evening"
12. "Hangin' With The Hoosiers"
14. "The Nearness of You"
15. "The Good Lady"16. "Two Sleepy People"
I have attached a YouTube of Ernie Krivda and the Swing City Septet playing Ellington's "Caravan" that I think you will enjoy!